A recurring complaint since the birth of the direct sales marketplace has been retailers don’t have entry-level comics for kids. In the early 1980s, Marvel attempted to address the problem with Star Comics, a kid-friendly imprint. It was helmed by former Harvey Comics editor Sid Jacobson after a deal between Marvel and Harvey to take over the latter’s line of titles collapsed and Harvey went out of business in 1982. 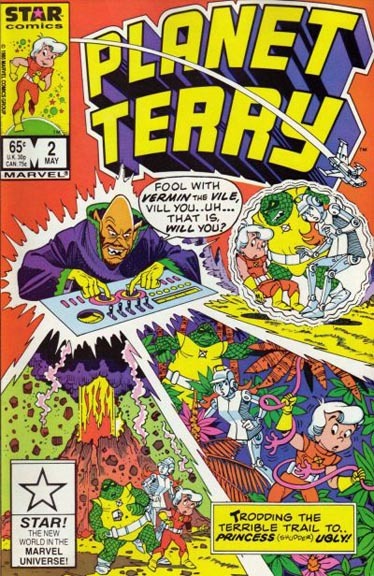 Star launched two years later, a mix of licensed and more importantly for Marvel, original works — Top Dog, Planet Terry, Royal Roy, and Wally Wizard — conceived by Jacobson. 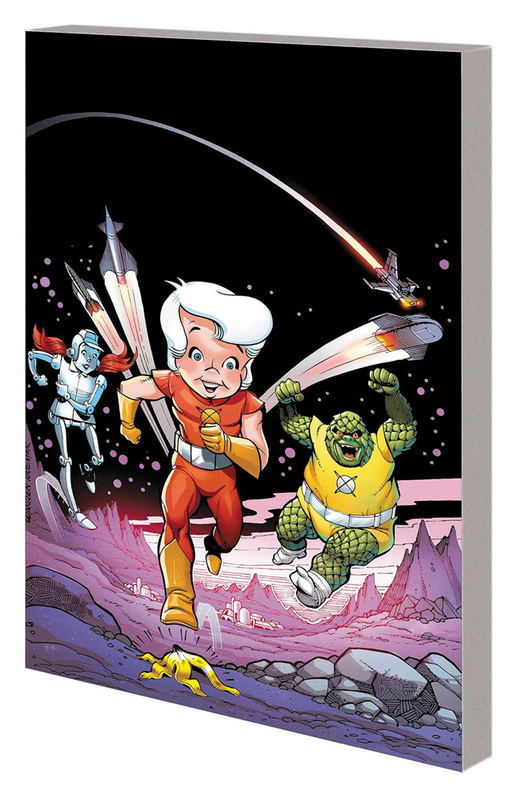 Though mostly forgotten, the appetite for all-ages fare has only grown so, coming this spring is Star Comics: Planet Terry – The Complete Collection, including all twelve issues. The series was mostly written by Lennie Herman and Stan Kay, who were decades-long veterans of Harvey’s Richie Rich, Casper, and other works. 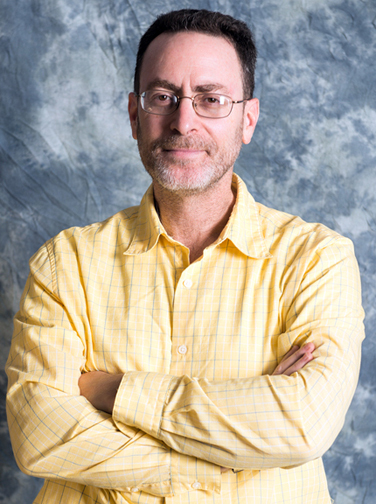 Jacobson once said, “The best writer I have ever know was Lennie Herman…the funniest man I have ever known.” Also writing for this was funnyman Dave Manak, who broke in during the 1970s and worked as a writer, artist, and even editor for DC and/or Marvel. Illustrating the dozen issues was Warren Kremer, best remembered for his Richie Rich, Hot Stuff the Little Devil and Stumbo the Giant, with inking handled by Vinnie Colletta. Young Terry is on a quest to locate his missing parents. They’re officers aboard the Space Warp, and Terry was accidentally launched into space. His parents thought him dead, grieved, and moved on with their lives, unaware Terry is scouring the cosmos to find them. The optimistic Terry found Robota on a junk heap as well as the strong, green-scaled alien Omnus, forming a new sort of family. Each chapter shows Terry and company making progress, actually getting closer to finding his parents and being reunited. At one paint, Terry was horrified to imagine his father might actually be cosmic criminal Vermin the Vile. Although the series was canceled before the joyful reunion could be told, you could at least get a sense of progress, a rarity for children’s comics. There were hints of other stories to be told, secret things aboard the Space Warp and other threads that were planted for the future. Instead, each self-contained story had them experience adventures, meet new friends and foes and provide plenty of adventure for the younger readers. We even get to meet Vermin’s real son, the Hood (not the Marvel villain). 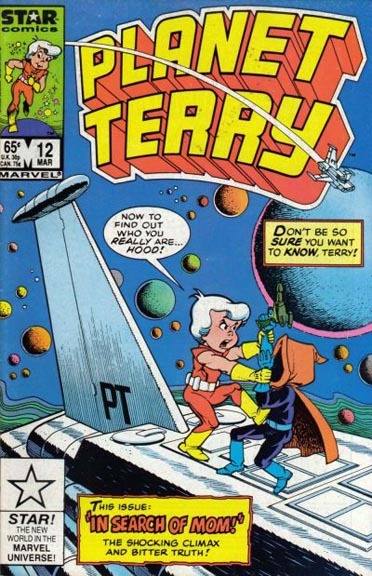 More than that, Terry’s outfit was designed to echo the clothing worn by the Kree, potentially tying this kid’s series to the larger Marvel Universe but it was never explicitly revealed during the initial run. 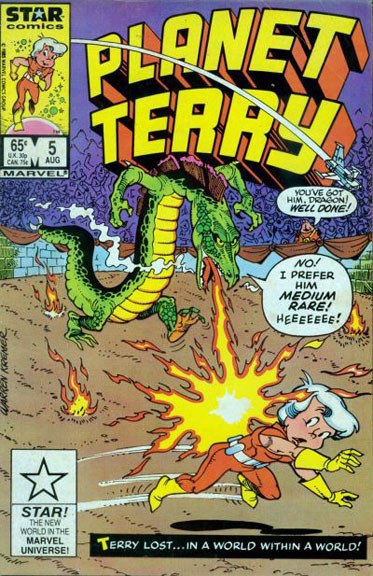 While some Star offerings were less than original (Royal Roy was canceled after six issues once Harvey threatened to sue for being too similar to Richie Rich), Planet Terry had a bounce and charm that made the series enjoyable to read. The science fiction premise means that it doesn’t date as badly as other series and should make for fun reading with your children or those who remain young at heart. For continuity buffs, you should note that Terry, Top Dog, Royal Roy and Wally Wizard could be found in 2009’s X-Babies and then Terry began appearing in Drax starting with issue #6.